Choosing the best dates and flights for a long-haul trip to the tropics involves a little more than just picking a few free weeks to visit shortly before you leave. When it comes to finding some of the best travel opportunities, whether the Seychelles, India or the Caribbean, it often pays to start making yours plans well in advance. We started preparing our India travel plan around 4 months before departure. ♦ The Caribbean, taking a relocation cruise back to Europe. ♦ The Seychelles (from Rome returning to Paris). ♦ South Africa (via Dublin). 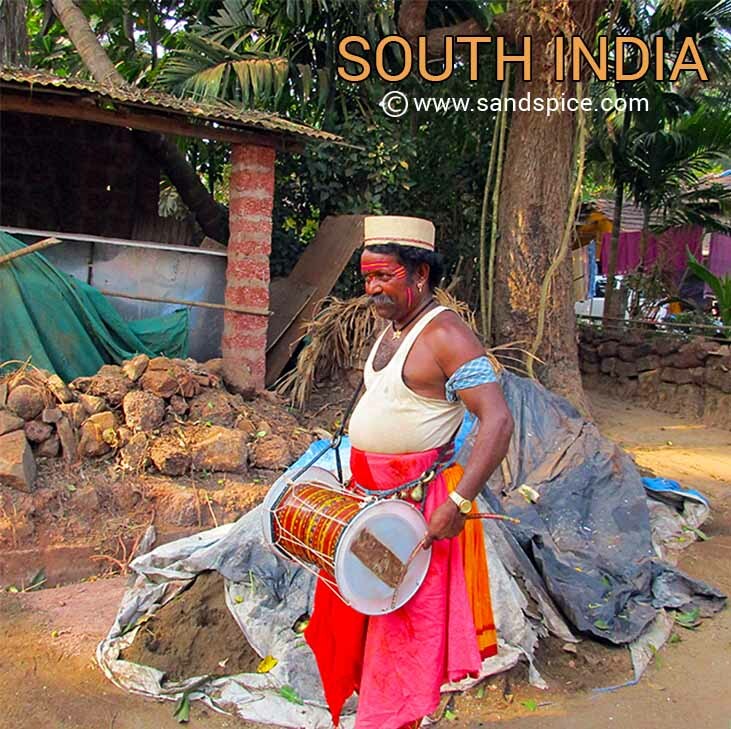 ♦ South India (via Istanbul and Edinbugh). We researched each of these primary destinations in search of the best flights on offer. By best, we don’t necessarily mean the cheapest: There are some good deals with Air Seychelles, but you’ll get what you pay for. Check out the The World’s Top 100 Airlines and you’ll find Air Seychelles way down below position 60. For long distances, we’re looking for an airline at least in the top 20, and ideally in the top 5. This was how we stumbled upon what looked like a great deal, travelling to India with Turkish Airlines (who at the time were ranked ahead of Emirates). Our flight itinerary would span 31 days, primarily in India, but including 3 short city stays in Rome, Istanbul and Edinburgh. Not bad for just €457 per ticket… and flying with one of the top airlines in the world. We booked the flight in late 2015, 4 months before the departure date. Once this flight was booked there was no going back: the trip became a reality. The flight schedule provided the framework for the rest of the trip: Everything else had to be planned and coordinated accordingly. Recreational travel can mean so much more than just the actual time spent travelling. Before the trip there is the anticipation, the preparation, the expectation: After the trip there is reaction, reflection, compilation and analysis. Over the years, we’ve probably spent as much time planning and recording as the time spent experiencing our trips. Although sometimes frustrating, we enjoy these other aspects of our travels. The planning stage is really educational, so we don’t regret the trips we’ve planned which never (yet) came to fruition. Our flight with Turkish Airlines meant we would be flying into and out of Mumbai Airport. We would therefore have 22 days in India starting and ending in Mumbai. On previous trips to India, we have visited the Rajastan area, and Chennai (Madras) down the east coast to Trivandrum. On this trip we wanted to discover the west coast, between Mumbai and southern Kerala. This is quite a distance to cover in just 22 days (3,400 km there and back again). We therefore decided to take a couple of internal flights to reduce the amount of time required to travel overland – which can be considerable in India. We therefore booked a domestic flight from Mumbai to Trivandrum, scheduled to depart around 6 hours after our arrival in Mumbai. 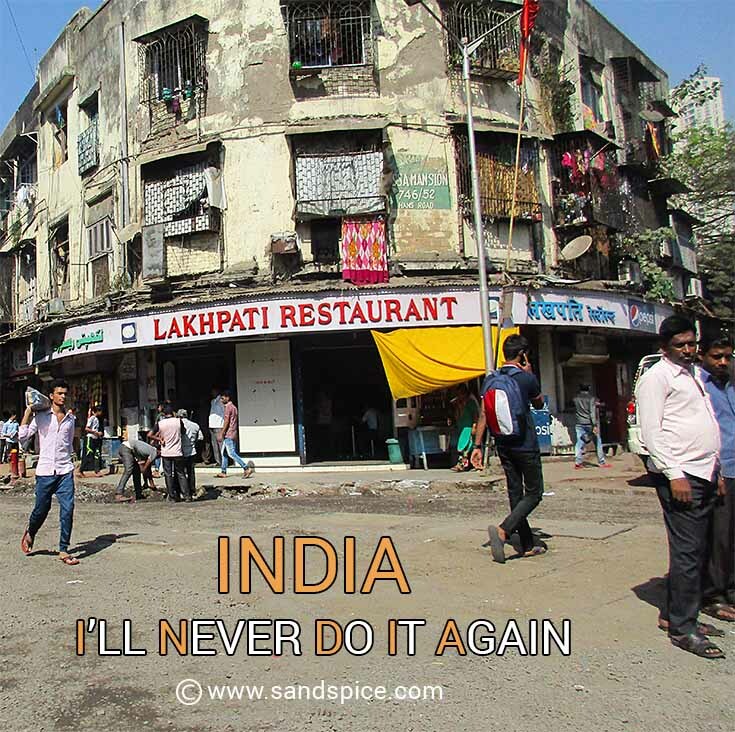 This had several advantages: Firstly, we wouldn’t have to experience Mumbai twice (on our way in and on our way out)… And, in retrospect, experiencing Mumbai just the once is more than enough. This also would mean that we would get straight to our southern-most destination. From there, it would be (simply?) a question of travelling slowly back up the coast, through Kerala, Karnatica and Goa to Mumbai. The domestic flight we booked online with Jet Airways – one of the more popular Indian domestic airlines (certainly more popular than Indian Airways). Of course, we were taking a risk that our Turkish Airlines flight wouldn’t be delayed by more than 6 hours. It’s all a trade-off really: Book early with Jet Airways and you get the flight at a decent price – in our case, 4,043 rupees (€54) per person. Wait until you arrive, and the flight will either be fully booked or will cost twice as much. On arrival in Trivandrum, our plan was to take a taxi down to Kovalam. From there, we would slowly work our way back up north – using buses and trains – as far as Goa. We would then take another pre-booked Jet Airways flight from Vasco Da Gama airport, Goa to Mumbai. This would be 2 days before our return flight from Mumbai with Turkish Airlines. 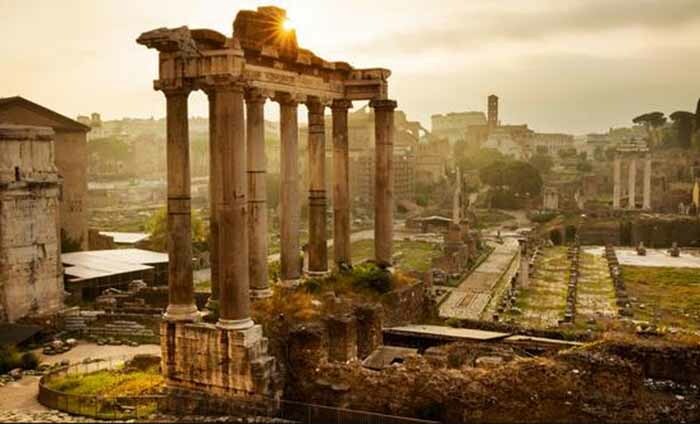 Rome is the starting point for our flights with Turkish Airlines. For us, this is a bonus destination to begin our holiday. We planned to spend 2 nights in Rome. Time enough to enjoy some excellent restaurants, with a little sight-seeing thrown in. We budgeted €300 for this section of our trip, including guesthouse, meals and transfers (€150 per day). 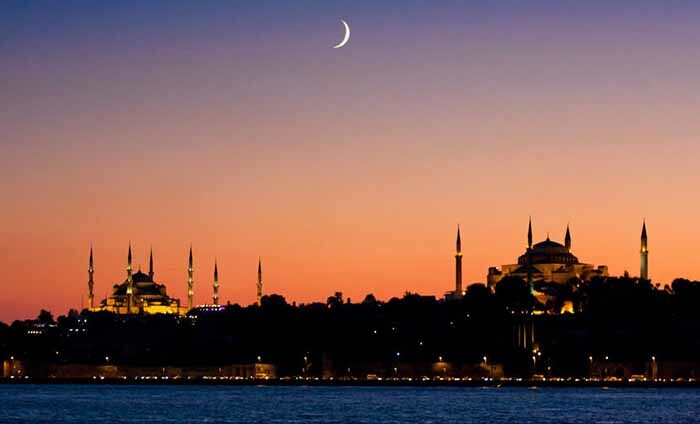 Since our Turkish Airlines flight stopped in Istanbul, we planned to spend 2 nights in Sultanahmet in the city centre. Time for sight-seeing and shopping: We’d need some warm leather coats when we return to Europe via Edinburgh. We budgeted €200 for this section of our trip, including guesthouse, meals and transfers (€100 per day). Since we’re not planning to visit Mumbai until our trip back out, we booked a domestic flight connection from Mumbai to Kovalam (Trivandrum airport) a few hours after our Turkish Airlines flight was due to arrive. We were winging it a bit here, assuming that our Turkish Airlines flight wouldn’t be delayed by more than 6 hours. 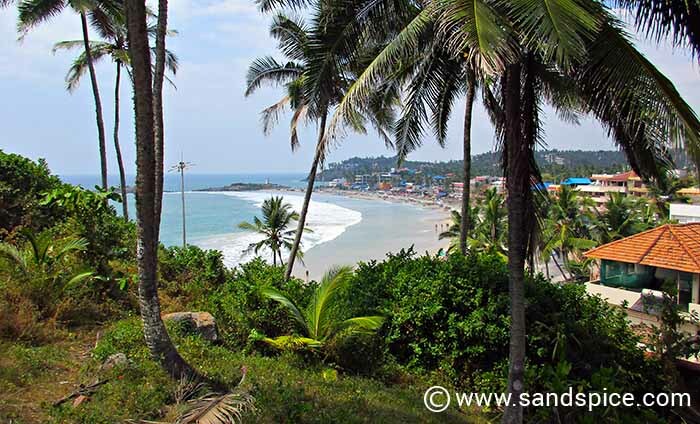 Once in Kovalam, we planned to spend 3 nights in an inexpensive but well-recommended guesthouse near the beach. 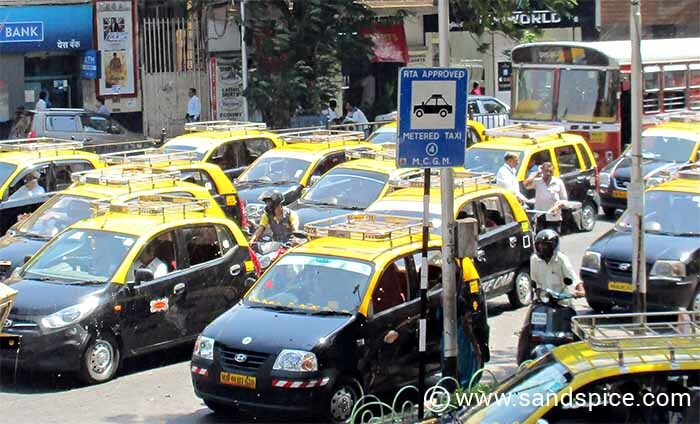 Our budget here, as with all our destinations in India apart from Mumbai, is €50 per day. Of this, we plan to limit our guesthouse costs to maximum €24 per night. From Kovalam, we planned to move 55 km up the coast for a 4-night stay in Varkala (still in Kerala). We would be applying the same €50 per day budget here. After this we should be well-acclimatized and sufficiently relaxed. 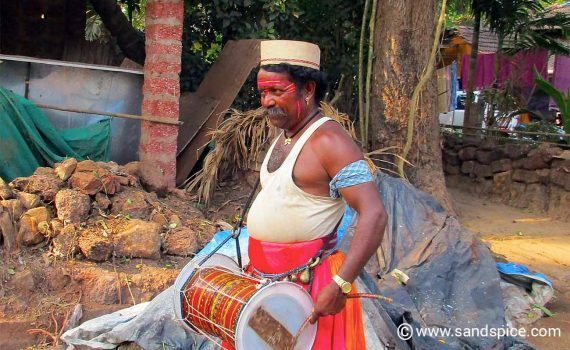 We would probably travel up to Varkala using the local buses. From Varkala, we would take either buses or a train to travel the 169 kms up to Kochi. 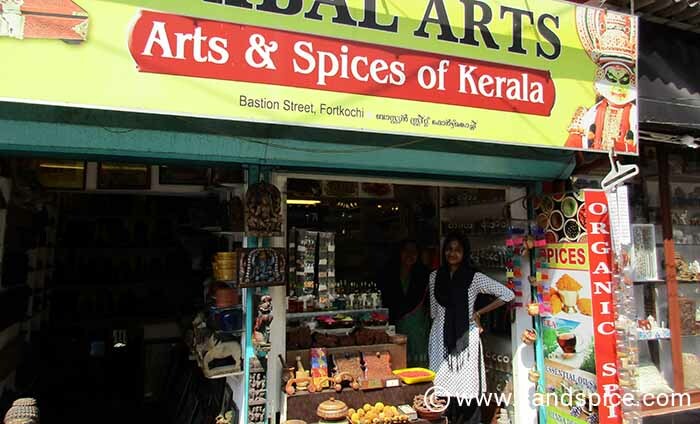 In Fort Kochi, we expect more of a cultural experience: We may try one of the backwater trips. For accommodation, we’ve booked a guesthouse in Fort Kochi for 3 nights. After that we have a gap in our schedule of 3 days. During this time, we plan to work our way northwards, 733 kms up to Canacona in Goa. We already tried booking trains online, without success (most were fully booked 6 weeks before departure!). This is likely to be the ‘messy’ part of our trip: We’ll just have to stay patient and be flexible with whatever options present themselves. A bit of adventure never hurt anyone, right? Assuming all goes well with our travel arrangements, we’ll arrive in South Goa at the start of our third week in India. 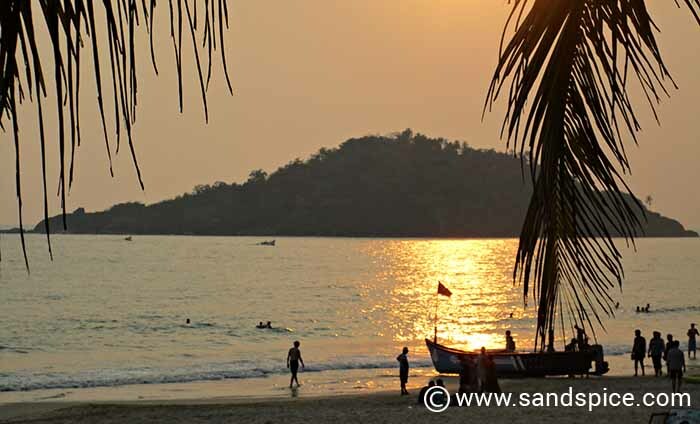 Here, we’ll be staying on Palolem beach, Canacona for the first few days. 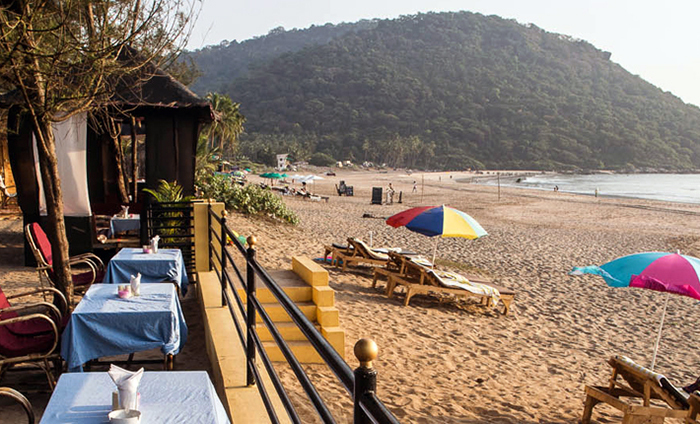 We chose South Goa because of its reputation as a peaceful, laid-back area, unlike some of the beaches in North Goa. Again, the budget remains at €50 per day. We just hope there is reasonable access to ATM machines in these areas. Our second and final location in Goa should be Agonda, just 12 kms north of Canacona, and reputedly one of the best beaches in India. This being the case, we planned to stay 4 nights here in a quiet guesthouse. This would be our last taste of the easy life, before the culture shock that would surely be waiting for us in Mumbai. Agonda is only 60 kms from Vasco Da Gama airport, where we had pre-booked a flight back up to Mumbai. Our reasoning was that by this time we would have had enough of the local transport on buses and trains. We were also running out of time, and overland travel in India is subject to long delays or cancellations, as well as being uncomfortable and tedious. It’s 625 kms between Agonda and Mumbai (10 hours by car), with the best of the sightseeing already behind us. 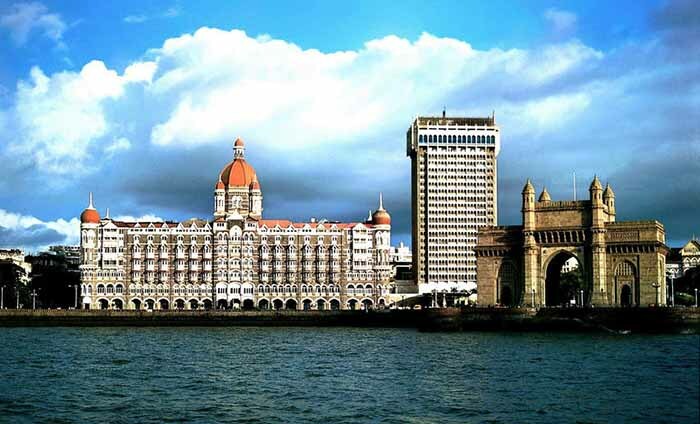 We pre-booked a hotel in the Fort area of Mumbai, with a pickup from the airport. Our plan was to stay just 2 nights so we could visit the Fort area, and maybe do a little shopping before leaving. The last part of our trip provides quite a contrast to everything that has gone before. 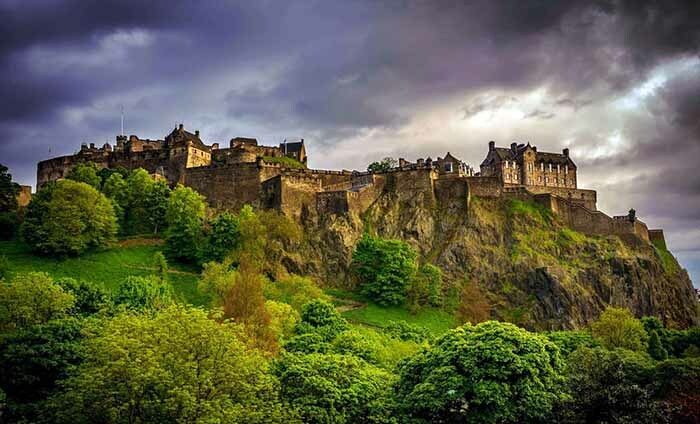 With a change in temperature of around 25°, we’d be spending our last few days in Edinburgh, courtesy of Turkish Airlines. We would be needing the leathers bought in Istanbul, plus every other item of warm clothing we carried with us. We budgeted €450 for this last 3 days, including hotel, meals and transfers (€150 per day). International Flights: We booked 2 flights from Malta (our home base) to Rome with Ryanair for €54. Our Turkish Airlines flights (Rome – Istanbul – Mumbai – Edinburgh) cost us €914. Our return flights from Edinburgh to Malta (again with Ryanair) cost €130. Domestic Flights and Trains: Four weeks before departure we went to the Jet Airways website and booked 2 domestic one-way flights: Mumbai to Trivandrum (8,086 rupees for 2 seats – €112) and Goa to Mumbai (5,112 rupees for 2 seats – €74). We also had to count on 2 train journeys: Varkala to Kochin (approximately 1,750 rupees for 2 seats – €24) and Kochin to Goa (approximately 5,085 rupees for 2 seats – €71). Train fares depend on which class is booked: More on this later. Daily Cash Allowance: Four to five weeks before departure we went online and booked some of the guesthouses in places we had decided to visit. Our daily cash budget, including accommodation, was €150 per day in Rome (2 days), €100 per day in Istanbul (2 days), €50 per day in India (23 days), and €150 per day in Edinburgh (3 days). I therefore calculated our combined cash requirement as €2,100 for 30 days (€1,050 per person). The budget for our entire trip comes to a total of €3,479. The only other cost not accounted for is our holiday insurance (€109). Adding this in makes a grand total of €3,588 (€1,794 per person). This, then, was our plan. Quite an eclectic mix of destinations and cultures. Our itineray was pretty well worked out, with some flexibility around halfway through. We travelled from February through to the middle of March 2016, covering just over 20,000 kms. So how did we actually get on? Check out our related articles. We discovered plenty of useful and current information on the practicalities of travelling around India: Guesthouse recommendations, places to avoid, overland travel tips and some great places to eat. It was a bumpy ride, but well worth the admission price.